I ❤ weekend breakfasts and these baked egg tarts are the perfect start to fuel a Sunday Funday. The eggs are baked in a basket of bacon and mushrooms and after you’ve tried making them once why not add other ingredients like tomatoes, spinach or kale. If you’re vegetarian just switch the bacon for half a pepper to create the basket effect. 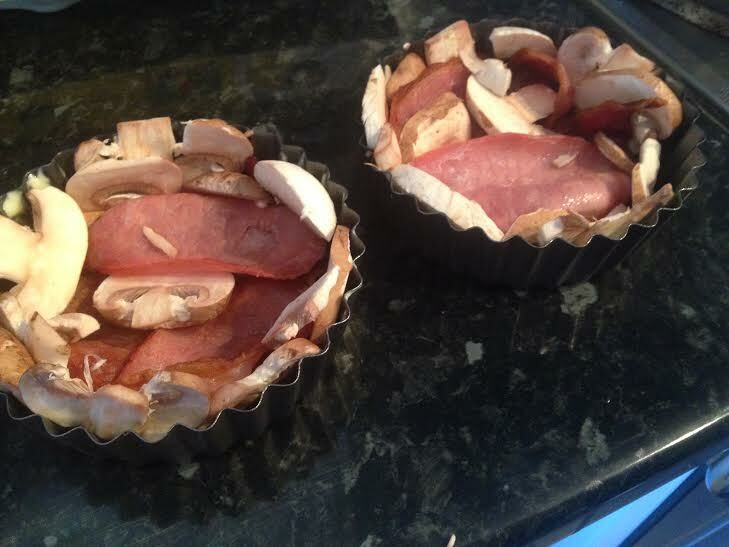 I didn’t follow a recipe for these tarts and sadly I can’t take all of the credit for them as it was a joint creation between my boyfriend and I. They are a great low carb breakfast for someone who is following a Paleo plan and are high in protein thanks to the eggs. More calories are used to digest protein rather than fat and carbohydrates so these burpee tarts will keep you full until tea time. If that’s not reason enough to give them a go then listen to this highly scientific (kind of!) piece of evidence. Dane and I are currently doing the 100 burpees a day challenge in the run up to Christmas- yes, even including 100 burpees on Christmas day- which is how the name for this creation came about. After eating these tarts Dane managed to bash out 100 burpees in an amazing 4mins 32 seconds after already completing 150 just a few minutes earlier! 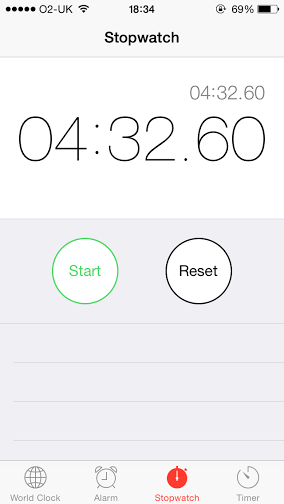 Proof of Dane’s 100 burpees in 4:32 after completing 150 beforehand! – Grill the bacon and whilst that is cooking line the tart dishes with some butter. – Once the bacon is cooked preheat the oven to about 180 degrees and then line the dishes with the bacon and finely chopped mushrooms. The idea here is to create a lining at the bottom of the tray so that the egg doesn’t leak through. 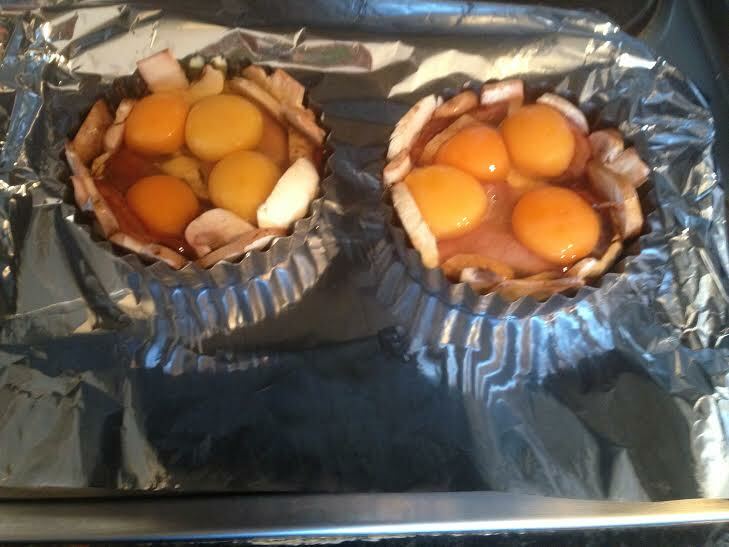 – Add some seasoning and then crack the eggs in to the tarts before putting in the oven to bake for about 15-20 minutes. 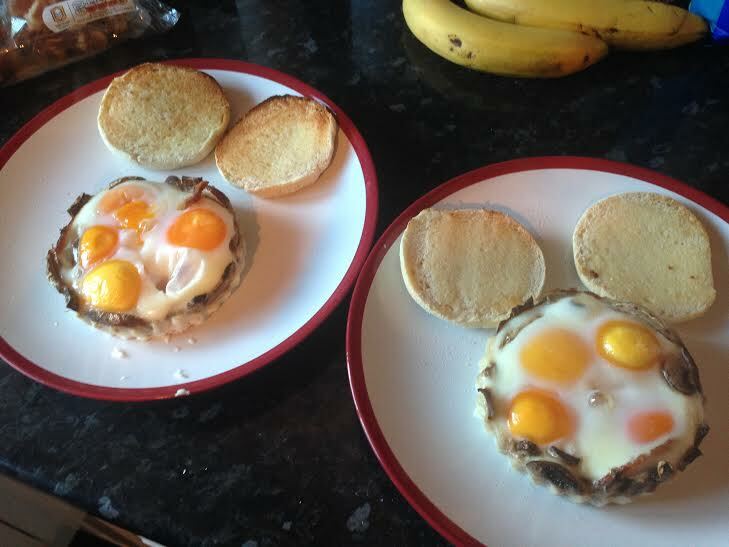 – We added a muffin to ours but they’re great on their own or with avocado or spinach.